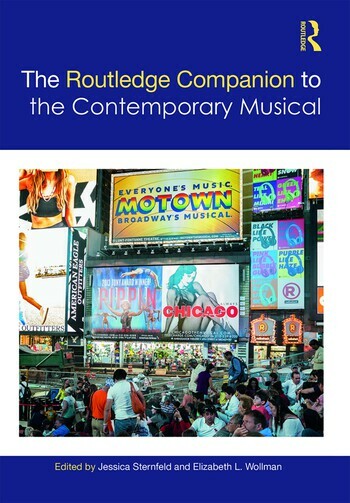 The Routledge Companion to the Contemporary Musical is dedicated to the musical’s evolving relationship to American culture in the late 20th and early 21st centuries. In the past decade-and-a-half, international scholars from an ever-widening number of disciplines and specializations have been actively contributing to the interdisciplinary field of musical theater studies. Musicals have served not only to mirror the sociopolitical, economic, and cultural tenor of the times, but have helped shape and influence it, in America and across the globe: a genre that may seem, at first glance, light-hearted and escapist serves also as a bold commentary on society. Forty-four essays examine the contemporary musical as an ever-shifting product of an ever-changing culture. This volume sheds new light on the American musical as a thriving, contemporary performing arts genre, one that could have died out in the post-Tin Pan Alley era but instead has managed to remain culturally viable and influential, in part by newly embracing a series of complex contradictions. At present, the American musical is a live, localized, old-fashioned genre that has simultaneously developed into an increasingly globalized, tech-savvy, intensely mediated mass entertainment form. Similarly, as it has become increasingly international in its scope and appeal, the stage musical has also become more firmly rooted to Broadway—the idea, if not the place—and thus branded as a quintessentially American entertainment. Jessica Sternfeld is Associate Professor of Music and Director of the BA in Music at Chapman University. Elizabeth L. Wollman is Professor of Music at Baruch College, CUNY, and a member of the doctoral faculty in the theater department at the CUNY Graduate Center.